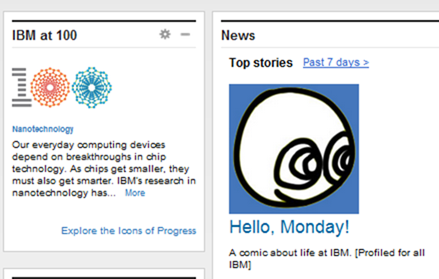 “Hello, Monday!” comic series launched on IBM intranet home page; now I’m a comic artist! More than a hundred comments so far, and it’s only noon! Looks like lots of people appreciate a bit of humour on Mondays. =) The w3 editorial team planned this as a 3rd-Monday-of-the-month feature, so the next one will come out on September 19. This comic’s visual style was inspired by Exploding Dog, which I love for its use of colours and simple shapes. I drew it on a Lenovo X61 tablet using Autodesk Sketchbook Pro. I’ve requested a whole bunch of books from the library and am making time for regular practice. Looking forward to learning more about comics while squeezing this into the gaps of my day job (consulting and Drupal/Rails web development). Glad to make people’s Mondays a little bit brighter! 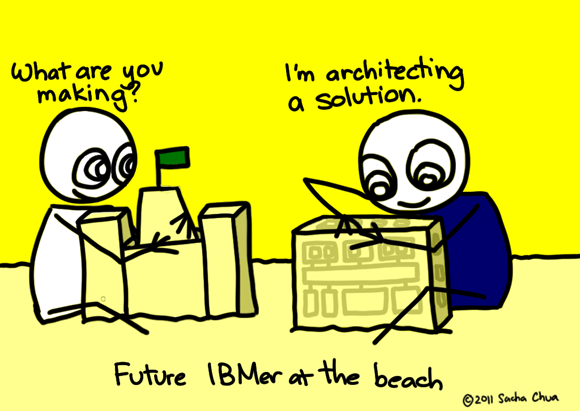 @sachac Your becoming a comic artist means i… « In brief. David Ing.